This is our new artwork for 2019, and will be on all of our finisher's medals, shirts, gear and souvenirs. Original Watercolor by Sara Starr. 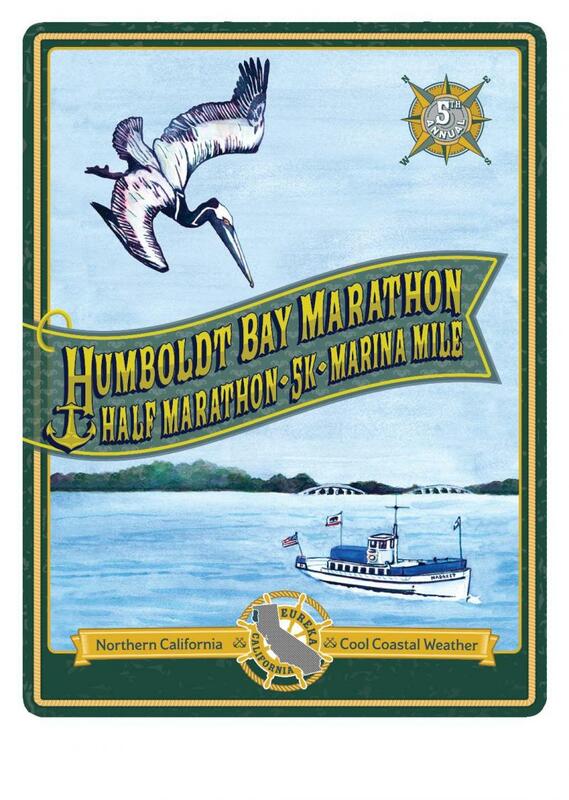 The 5th Annual Humboldt Bay Marathon and Half Marathon Sponsored by HPRC. Photos! Thanks to local photographer Jose Quezada who has created a new sports photography ﻿website with most of the images from his own camera, Matt Filar and Yoon Kim. Additional photos of the marathon runners near Miller Lane and Mad River Road (mile 15) by Jeff Leonard are here. 2018 race results are here! 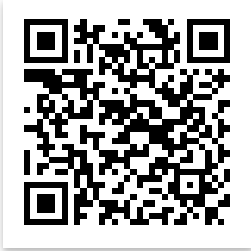 Use this QR code to download map data for the full and half marathon to your phone! We plan to use the same course for 2019 as we did for 2018. The Booth Brewing will be pouring beer for finishers at the Madaket Plaza after the races! The Humboldt Bay Marathon has partnered with RoomRoster to manage our registration platform and to provide hotel reservation services to all participants. Redwood Coast Montessori is excited to host our 3nd Annual pasta dinner on alongside packet pickup on August 10th 2019! Funds raised by the pasta dinner will go towards the new community playground. Here are the 2017 results! An Amazing Place to Run! The Humboldt Bay Area combines spectacular scenery with the perfect climate for year-round running. August is a dry month with an average high temperature of only 62.6 degrees (17 Celsius), so ideal conditions for this race are almost guaranteed. Whether you are trying for a Boston qualifying time, striving for another personal record, or just looking for a uniquely beautiful place to run, the Humboldt Bay Marathon, Half Marathon and Marina Mile races are exactly what you're looking for! Copyright 2015 Humboldt Bay Marathon. All rights reserved.